According to a many studies conducted amongst pediatricians and general practitioners, Braun Thermoscan IRT 4520 – Ear Thermometer is the best known and most recommended thermometer brand by health professionals. This ear thermometer is very popular and easy to use for taking readings on small kids. The Braun ThermoScan(R) IRT 4520 is the only infrared ear thermometer with a pre-warmed tip and guidance system which ensures accurate, repeatable readings, giving fast, easy-to-use and hygienic temperature measurement. Since their launch 20 years ago, Braun thermometers have been recognized for their accuracy and quality. 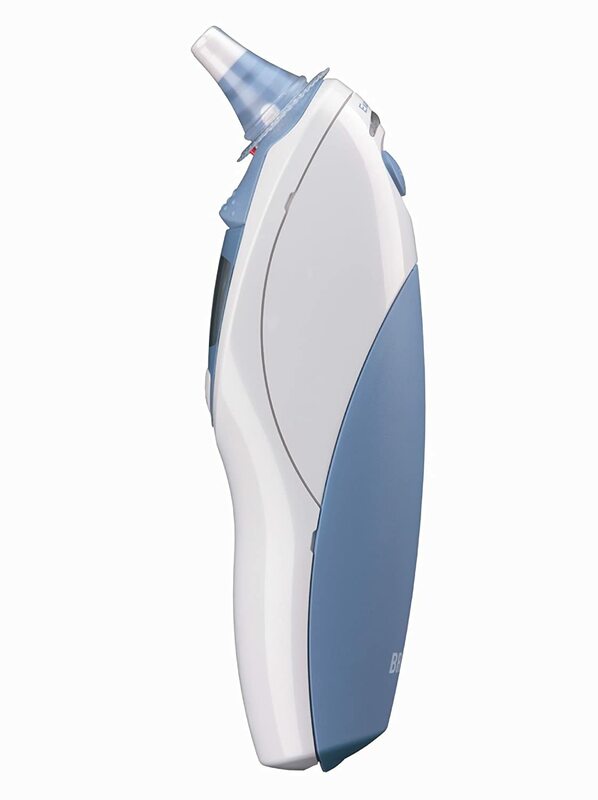 The Braun ThermoScan(R) IRT 4520 measures the infrared heat generated by the eardrum and surrounding tissue. Since the eardrum shares blood supply with the temperature control center in the brain, the ear accurately reflects the core body temperature. To avoid gross temperature differences, the sensor itself is brought to a temperature close to that of the human body. When the Braun ThermoScan is placed in the ear, it continuously monitors the infrared radiation. The measurement will be finished and the result is displayed, when an accurate reading can be assured. To achieve accurate readings, make sure a new, clean lens filter is in place before each measurement. Also check Best Forehead Baby Thermometers for forehead thermometers.